Club Loose and BloodMasters Gear for Everyone!!! Just in time for the Holiday season, the rest of the Club Loose and BloodMasters shirts and East Coast Bash Posters are up for sale. So if you need a sweet gift for someone or just want to treat yourself, there are several great options below. All prices below include domestic shipping and there are some package deals at the end of the post. For international orders or other questions, contact us at clubloose@gmail.com. 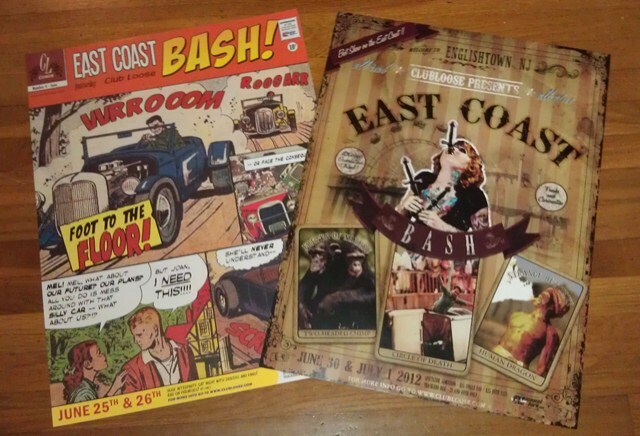 We have both 2011 and 2012 East Coast Bash posters available for sale. The 2012 posters are $15 shipped and the 2011 posters are $11 shipped. Then just put these in a decent frame and they make a great addition to your house or apartment. 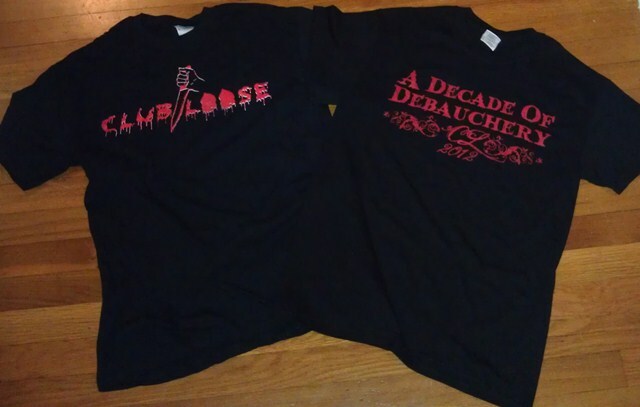 The Club Loose “Decade of Debauchery” are $15 shipped and come in sizes Small to XL. There is only 1 XL shirt left so if you want it, order soon. Also, while sorting and organizing all the stuff that we have listed, I came across some of the Knife shirts that we had made in 2011. There are only 3 mediums left and they are $12 shipped. Update – 12/9/12 – Only small Decade of Debauchery shirts are left. The Knife shirts and all other sizes are sold out. 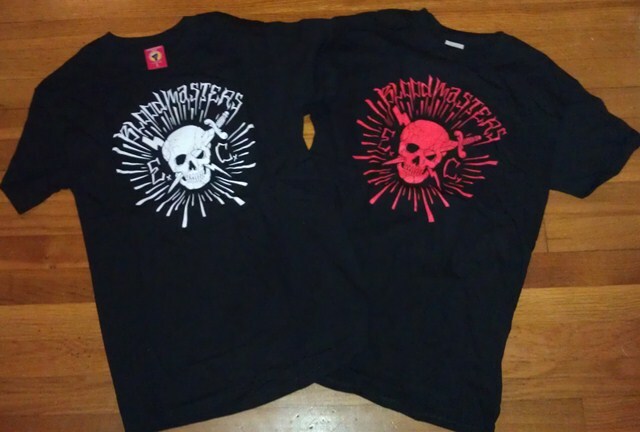 The BloodMasters shirts come in both white and red printing on a black shirt. They are $20 shipped. They are available in Small to XL and there are still a few XXL available in white. We are out of red in large, but the other sizes/colors still have a bunch. If you want to order more than one thing, we put together a few different package deals to save you a few bucks. Make sure to specify which size shirt you want if ordering a package that comes with a shirt. If it’s one of the packages with a BloodMasters shirt, also say what color you want. Quantities are running a little low on some of these sizes/colors, so get your order in as soon as possible to make sure that you get what you want. Update – 12/4/12 – Only small Decade of Debauchery shirts are left. All sizes/colors of the Bloodmaster shirts are still available except for the large in red. Orders will be shipped out at the end of each week. If you have any questions about your order, please contact us at clubloose@gmail.com.